Ah, burgers. Hot, juicy, thick burgers. Am I the only one who craves a burger every once in a while? I’ll bet not. Burgers aren’t always the most inexpensive meal you can make, but if you find ground beef on a good sale, stock up and enjoy your own hot, juicy, thick burgers! 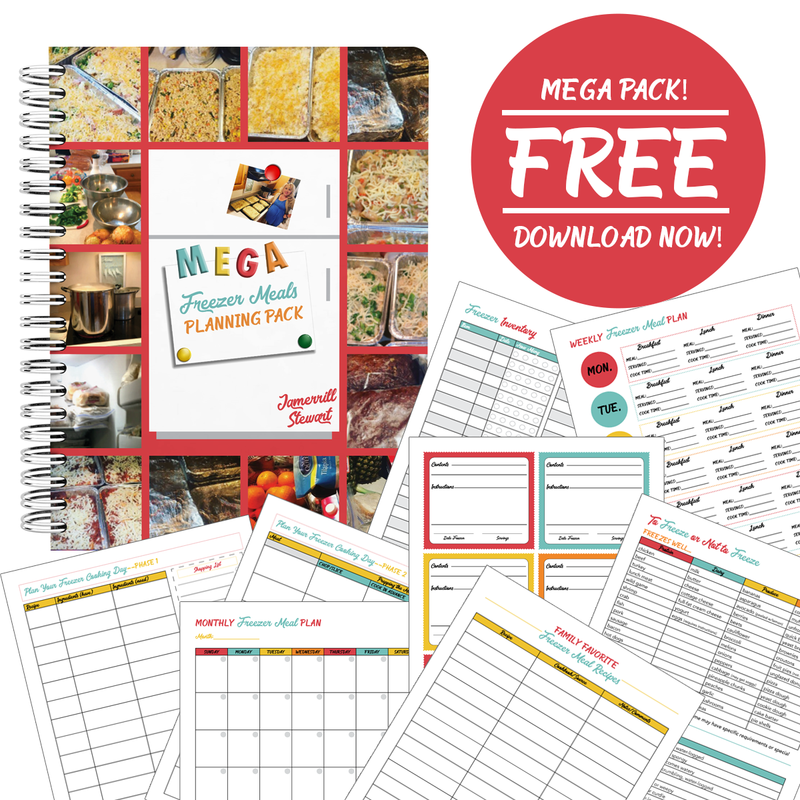 Of course, you know I am going to include these in my large family freezer cooking days whenever I can because they are just so easy. Mix the meat with some spices, shape into patties, and you’re good to go. Not a lot of ingredients and not a lot of steps. 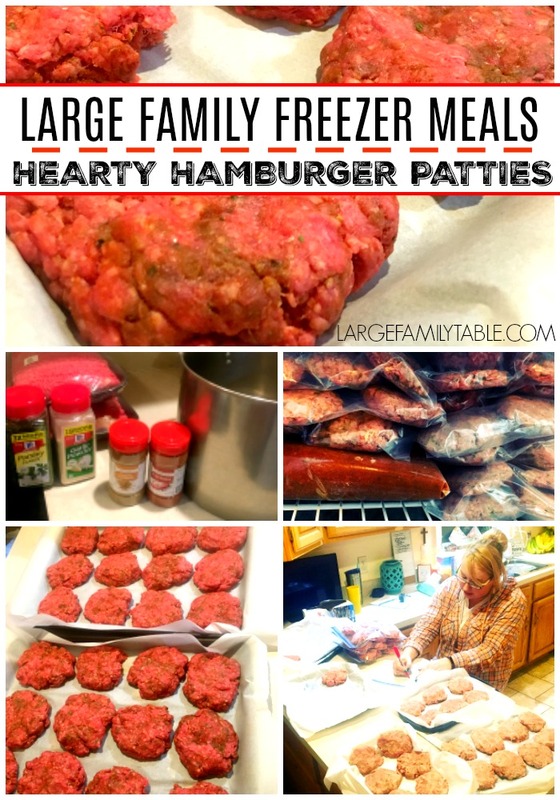 It’s the perfect large family freezer meal. And then you can have a hot, juicy…I think you get the picture… anytime you want one! Alright, enough chatting; let’s make hamburgers for the freezer. Thick and hearty burgers for those times when nothing but a burger will do. Mix burgers with all spices in a very large bowl. Layer between sheets of freezer paper or parchment paper on a cookie sheet and flash freeze. 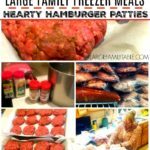 Store patties in freezer bags until ready to cook. Grill, pan fry, or oven bake burgers. For baking, set the oven to 375* and bake burgers for 30 minutes. Flip burgers and cook for 15 more minutes or until internal thermometer reaches 185*. I usually put these in the oven for the last hour of our read-aloud time in order to contain the mess and so I don’t have to keep tending to them. Line your pan with double layers of aluminum foil to make clean-up much easier!